Dead Bird Brewing was founded in spring of 2015 by Nick Kocis and Jeremy Hach. They decided that the focus of the company should be on marketing and brand management so they went with a contract model. Nick would use his background in microbiology and professional brewing to ensure quality product was being produced while Jeremy would put his masters in business to bear on the executive side of the company. With the intent of brewing outstanding specialty beer featuring high abv and a spotlight on unique ingredients, we released our first beer, an American Pale Ale featuring ruby red grapefruit zest called Pamplemousse in November of 2015. We quickly followed it up with four big imperial beers each released once a year and packaged in bombers and kegs. Dead Bird’s motto is ‘Outstanding Beer by Upstanding Gentlemen’. We strive to embody both parts as best we can. We aim to make the most amazing beer we can make and whenever possible participate in charitable events, community outreach projects and fundraisers in our distribution area. Nick Kocis has a background in microbiology and chemistry and over a decade of home brewing experience. He put this background to use in the professional brewing industry for three years before co-founding his own label. He is in charge of production oversight and beer development for Dead Bird Brewing. 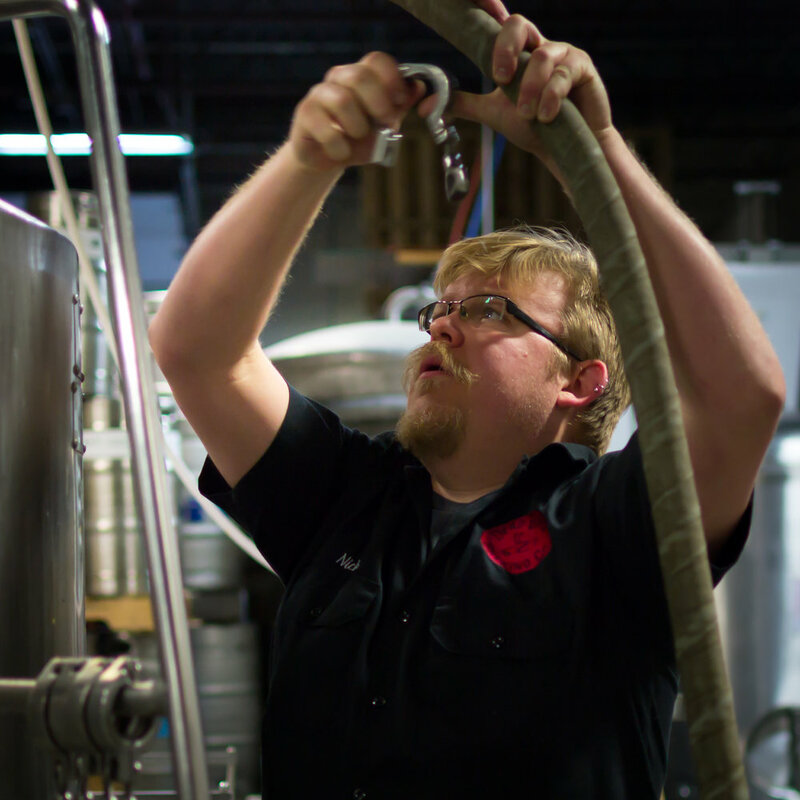 His beer philosophy is that beer should be crafted, not mass produced. Ingredients should be the best available and, most importantly, that beer should be fun and shared with friends and family. Jeremy Hach has spent over ten years in the bartending and the brewing industry. He has homebrewed with his friend Nick since college and provided the kettle that housed the company namesake. He holds advanced degrees in business and project management and has worked with both startups and publicly traded companies. To Jeremy, beer is about home, tradition, and shared experiences.